Rejected! – My thoughts on a page. It is with dismay I must let you all know that I did not win an award for Best Personal Blog at the Irish Blog Awards! How did I take the news? Well the words ‘Feck’, ‘Ah feck it’, and ‘For fecks sake, lost again’ featured foremost in my mind. In fact I had to struggle to remember not to say them out loud. On a positive note I had identified who would win and I was right. For those of you interested the winner was With all the finesse of a badger. So back to the laptop once more, to reflect on my blog, blogging and ‘My thoughts on a page’. As a child I didn’t do rejection well. My younger brother was a real ‘dote’, a ‘pure pet’, and I was most certainly not. He had charm in spades and readily pleased everyone. Both characteristics I lacked. So I learned to huff and puff and annoy everyone in my attempt to be heard. As you can imagine that is not how you go about becoming a child everyone enjoys being around. However as he and I were best pals, I learned to ignore all the love he received. Maybe to get some sort of upper hand I ensured he knew I was the older sister, the one in charge, as we played together. A role he never fought me over. A wise decision on his part, or just another example of his ‘charm’, I’m not sure. In life I am not one to lie under the rejection bus when it passes. Whenever it did hit me, I was rarely floored. Usually I would spend a small amount of time ‘fecking it’, and then I’d gather myself, stand up, and start all over again. So my fecking that I didn’t win an award again is done. (Well just give me one more minute… feck, feck, feck, feck, feck) Okay, I didn’t win. I am now over it, and ready to begin again, or at least to continue on as before. There was actually one very big positive note which came out of Saturday night. For the first time ever I met people who I ‘knew’ online. So many people. I was very nervous before meeting them, and in dire need of a bit of courage in the form of a pre meeting drink. However I was staying in my Mums house and I wanted to be the good daughter she thinks knows me to be! So stone cold sober I got into the car of a complete stranger (mind the baby) and another fellow blogger (proper fud) and off we went, chatting as if we knew each other. We arrived late, but thankfully three seats had been kept for us by fellow Irish Parenting Bloggers. As I scanned the faces of those seated around me, it was great to see so many ‘familiar’ ones. I had to hold myself back not to run up to them and greet them as the ‘friends’ I imagine them to be, so maybe it was lucky I didn’t have that pre drink. Happily I was at ease very quickly, and they really were as good in real life as they are online. Now days later I am so delighted to have actually met them. For this alone the awards night was well worth being a part of. Over the course of the night many of us were not called out to accept trophies. However there were exceptions. 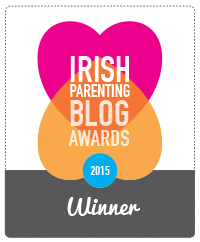 Mama.ie won best parenting blog and was such a worthy winner. As well as her blog this amazing lady set up the Irish parenting bloggers group, which continues to grow and whose facebook group I enjoy enormously. A mighty roar went up from all of us as she was announced. It was good to see this unassuming lady, ‘The Boss’ awarded. Another winner was ‘Sunny spells and scattered showers’. This is an amazing blog about mental health, and a very deserved winner. Finally there was the award for best blog post. What an effort had gone into getting to the final of this one. The top ten posts were selected by public vote, so bloggers had to ask facebook followers, blog followers, family and friends to vote every week to keep them in this competition. It went down to the wire, with single votes at one stage between some of those in the running. The top ten with the highest votes were then judged by a panel of judges. I was exhausted looking at the efforts it took to qualify. Finally after the long battle the post of ‘Beating myself into a dress‘ won. Great credit to her, and to all who made that top ten. So the night is over. No more judging or being judged. It is back to the laptop for me. Back to the wondering where I will go from here? To wondering what I really want to do with my writing? And to wondering what exactly are my goals going forward? 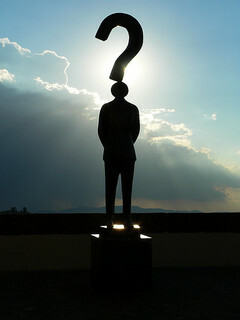 I’m not sure what the future holds for my writing long term, but what I am sure is that for now I’ll continue as I am. Writing ‘My thoughts on a page’, and enjoying the many online friendships I’ve developed over the past eighteen months. As for third time lucky, it is too early to decide if I will enter the fray again next year. Thankfully there is a whole lot of writing to be done between now and then. Oh, and one last thing, just in case you are still not quite sure how I really feel. Feck, feck, feck, feck, feck. For fecks sake, I lost…. again! Posted in blog, blogging, life, parenting, personalTagged Irish blog awards, Irish Parenting bloggers, loser, online friendship. Sorry you didn’t win but hey at least you made it to the final. I didn’t make it past the nominated stage. Better luck next year. Thanks a million. I know I was so thrilled to get to the Final and really enjoyed the night, but it would have been nice to win! Better luck to yourself next year too. even getting nominated is a thrill. seriously, though, tric – you’ve done amazingly well to reach the final few two years in a row ! Thanks Duncan. I am delighted to have made it that far, but…..feck! At least you found a new blog to follow out of it. I saw one of the winners via Duncan’s blog. I really enjoyed her comic. However, I will say FECK a dozen or so times in your honor. Yes Colleen I was delighted to make the finals, and I am well over my rejection (Feck). I suspected she would win, so at least I’m a good judge! I’ve been offline for days, so lots of reading to catch up on. Have fun reading you world class blogger you! It was lovely to meet you in real life Tric and see that you are exactly the person you are online – here’s to next year! And feck. Thanks ‘Office mum’. I thought the exact same of yourself when I saw you. It was surreal to look around and see everyone. Great night too. Well deserved. Lovely to meet you too. You sure were shocked. Made us even more thrilled to see you up there. Oh Tric, your blog is awesome. Just because some Irish blog award pickers and choosers picked and chose somebody else doesn’t take away anything you’ve done, or anything beautiful you’ve written. You have fans from all over the world. You are loved by me, and so feck it. I love your blog, and to me, that’s all that counts. Yes you are right. That is indeed all that matters. Thanks a million for putting my back on track. I will join you in a round of “feck”s at my own rejection, but I’m delighted that you got to meet everyone in person! Yes I was conscious of you and some to the others not being able to make it. It was fab to meet so many. I do think you are right as to why you didn’t win. Next year we will prompt you to do some ‘I miss the green homeland’ posts just as voting is going on. Feck awards! Feck the Irish Awards….to me you should have won the Global Awards! You are a winner to all of your loyal readers. Hugs from across the waters…..
Aw thanks so much. I will definitely take those hugs and that praise. Much appreciated, and I love the fact that you read what I write. Thanks again. If it is any comfort, I was always a bridesmaid too. I know the feeling though, you want to be a finalist and then you want to win. Competition was tough though! While on the one hand, it always seems a pity that I can’t enter the awards, it is nice to just have the event organising to worry about on the night rather than wondering if I’m going to win something! I was delighted to see so many parenting bloggers there, great you all used it as an opportunity to meet online friends offline – that’s partly what things like the blog awards are about too! I met two really good friends for the first time at the 2010 awards. Thanks lorna. It was a great night and for every one winner there has to be many losers. As a group the IPB really enjoyed it. What a great opportunity to meet fellow online friends. It was also very smoothly run, and most enjoyable to be a participant. Thanks again I’ll keep writing don’t worry, because as I’ve often said, I can’t not. Thanks Jackie. I am indeed resilient. All behind me now. Onward and upwards. I hope you don’t mind. I plan to adopt your lovely, lilting “feck” to be said in my abrasive Boston American accent. No one will ever know that I’m cursing them to hell and back again. And, feck it, I would have voted for you if I’d had the chance! I love your blog, although I am not Irish. Keep it up; write for yourself and enjoy any glory that comes your way! Thanks a million. You are very welcome to enjoy the word ‘feck’. I find it fits in very nicely at times. You might even manage a small Irish lilt in it too. Aedin it was feckin brilliant to meet you! Aw, c’mon, Tric. You’re a winner all the way down the line with me – I enjoy reding your posts, and my interest hasn’t waned over time. I’m not the only one. So “feck” the awards and the medals – although formal recognition is nice, you don’t need it to prove you’re worth it! Thanks MM. I’m way behind on reading as life is so busy here. It is lovely that people like you have been reading so long. Sometimes I forget that. Thanks for the reminder. Hope all is okay with yours. Ah feck, feck, feck Tric. I was so much more disappointed that you didn’t win than that I didn’t! Wonderful to finally meet you and sorry I didn’t get to stay longer and actually have a drink. Had to do a quick Cinderella act… OK without the pumpkin, the mice, the lost shoe or the prince for that matter. You are definitely a winner in my eyes! Keep writing your wonderful words! Thanks so much Naomi. Maybe next year we’ll be luckier, and hopefully you get to stay longer, although the little I saw of you was lovely. And thankfully I am so over my feck! All water under the bridge now Tric – there is a positive side to not winning – you’d never have got to write the above and WE would never have known how you felt by not winning, agreed? You have a winning formula, third time lucky – remember we are all behind you so keep her lit as they say. Ha thanks C.J. although you also never got to read my winning post! It’s all very much in the past now, and I am back thinking about posts and enjoying my blog. Toasted blog, lovely with a bottle of red wine!! Ha ha, You literally ‘can’t get you out of my head’ to quote Kylie. I do have a mongrel accent, no matter how I try to get rid of it. Seemingly when I walk into my Moms house I turn Northern, as she is a Donegal woman. Lovely to meet you too, and put a face, and voice, to you. Yes, you just need to get to Ireland and we’ll give you directions! Welcome back. Yes here’s to blogging and writing and not caring what others think.